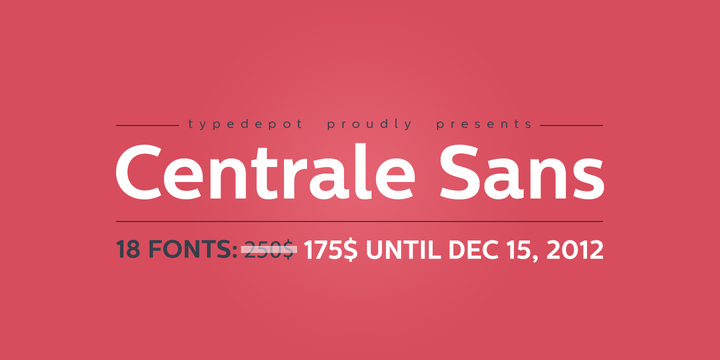 Centrale Sans is a typeface created by Alexander Nedelev together with Veronika Slavova and published by Typedepot. The Centrale Sans fonts family contains 18 modern, geometric fonts perfect for your graphic projects! A font description published on Friday, December 7th, 2012 in Alexander Nedelev, Fonts, Typedepot, Veronika Slavova by Alexandra that has 7,822 views.